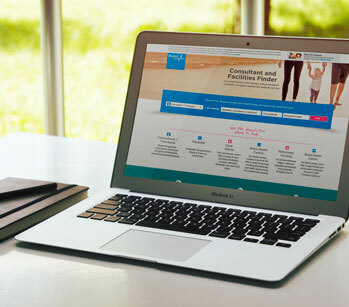 If you’re Bupa recognised, you already have your own personal profile page on Finder, our comprehensive directory of Bupa recognised healthcare professionals and healthcare services. There’s no better time to check that your profile is up-to-date and a true reflection of your skills and expertise. Finder receives 70,000 visits each week from our customers, GPs and the general public so it’s a great way to promote your practice. Plus, it’s also a free way for you to market your practice or service with the help of search engines like Google (where 80% of our website traffic comes from). Finder profiles that are up-to-date and have been checked display a blue tick, which shows that the information is accurate and gives patients further confidence when choosing who to treat them. We’d encourage you to update yours to give people a feel for who you are and your experience – eg a photo of yourself and your clinical specialty, languages spoken etc. Our research shows that updated profiles receive 92% more page views! Go to finder.bupa.co.uk type your name and click 'find'. Select your profile and click on 'edit details'. Use your Providers Online username and password to log into Finder. Check your details are correct, and then add information about your practice. You can add as little or as much information as you like. When you’re finished press “submit” to publish your updates. What information does it hold about me? Every Bupa recognised healthcare professional and service has their own Finder profile page showing basic information like their name, main areas of expertise and contact information. Updating your profile can take as little as 10 minutes. Your details will be confirmed and will be live within five working days. I’m representing a hospital/facility, how do I update our profile page? Please send us an email to update a hospital or clinic’s profile. If you can, it’s also a good opportunity to encourage your consultants and therapists to update their individual profiles. You can find a list of consultants who practise at your hospital/clinic by selecting ‘View consultants’ on your hospital/clinic’s profile page. If you need to change any of this information, let us know by emailing at the same address above. How can Finder help me? Think of your profile as a showcase of your skills, knowledge and expertise to potential patients. We use Finder to help our customers choose who to see and where to be treated, and the more information they have about you, the better. If you’ve won awards, are a recognised expert in your field or hold certain NHS posts, you should include this in your profile! A blue tick will appear on your profile once you have checked your information (or someone has checked it for you) to make sure it’s accurate. It shows customers and the general public that they can trust the information in your profile and be confident to use your services. More than 21,000 consultants and therapists now display the blue tick, so we’d encourage you to check and update yours as soon as possible. What sort of speciality information should I add? Your profile will already include some information about your areas of work, which we source from the General Medical Council’s Specialist Register. We’d encourage you to add to this so when people search for a consultant in your speciality, you come up in their search results. For example, if general surgery is your speciality you can then add a subspecialty such as vascular surgery or breast surgery. This can be followed by further relevant areas of interest in the free text box (for example arterial bypass and carotid surgery, or breast oncology and breast reconstruction). If you’re a therapist. you’ll be asked for your Professional Registration - this is the service that you are registered with us (for example, physiotherapy, osteopathy). You can also add your therapeutic approach and further areas of interest. For example, a physiotherapist may choose acupuncture (MSK) as one of their therapeutic approaches. and then include further areas of interest such as shoulder pain and anterior knee pain. Where does the other information about me come from? Some of the information already in your profile is taken from invoices you’ve sent us for treating Bupa funded patients. This information can be found in the Details about work section and includes the procedures you've performed and conditions/impairments you’ve treated, the anaesthetists you've worked with as well as some information about where you hold practising privileges. This doesn’t give a complete picture of your private practice, but is there to give an overview. This section can be edited and you can choose to remove procedures, conditions and anaesthetists if they don’t reflect the majority of your private practice. Can I share my outcomes information? Yes, you can now link your published registry outcomes information (eg how many times you’ve performed a procedure) to your Finder profile. We know that increasingly quality measures like this are important to our customers and enable them to make the best choice of treatment that’s right for them so we’d encourage you to add this information to your profile. To do this, just add the appropriate web URL link to direct people to the page. When someone is searching on Finder, the search engine will review all profiles and draw up a shortlist of the most relevant 100 based on which ones are nearest the postcode the person has entered, the speciality of the healthcare professional or service, as well as whether they’re fee assured. Adding specialities, subspecialties and detailed areas of interest. Making sure your hospital practising privileges and clinic locations are updated – so we can match nearby patients to you. Fee assured consultants will also appear in the results based on the speciality and location being searched for. Excessive charges are one of the top reasons why our customers complain and Finder gives them the option to choose a consultant who won’t send them unexpected bills for treatment. We’re happy to answer your questions and we’re always looking for ways we can improve Finder – so please get in touch. Just email us at finder@bupa.co.uk and we'll get back to you.